No trip to Szczecin would be complete without taking in the cultural Polish highlights this city offers. Here you’ll find a list of tours and short day trips to fill your cultural thirst. 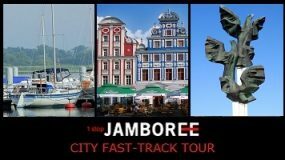 When you see a tour you like, click “Add to basket” to include it in your Szczecin Jamboree. See the top attractions of Szczecin and the Old Town in just a few hours.